Improves the texture and firmness of the skin. 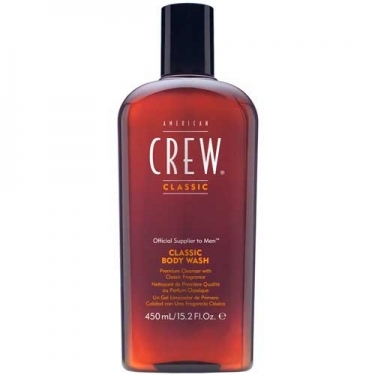 DESCRIPTION: Classic Body Wash from American Crew is a refreshing shower gel with the classic American Crew fragrance that both men and women love. An appropriate combination of sulfates to clean the skin. A unique blend of spices and citrus to create a subtle, clean and masculine scent. Naturally nourishes and moisturizes the skin to increase elasticity. A moisturizer that moisturizes the skin and helps to retain the skin's natural oils. Essential antioxidants needed to improve the texture, firmness and feel of the skin.